Having just won the Excellence in Community Partnerships Award at the National Disability Awards, the Dementia Friendly Kiama Project is looking to get more people involved in its internationally recognised pilot. 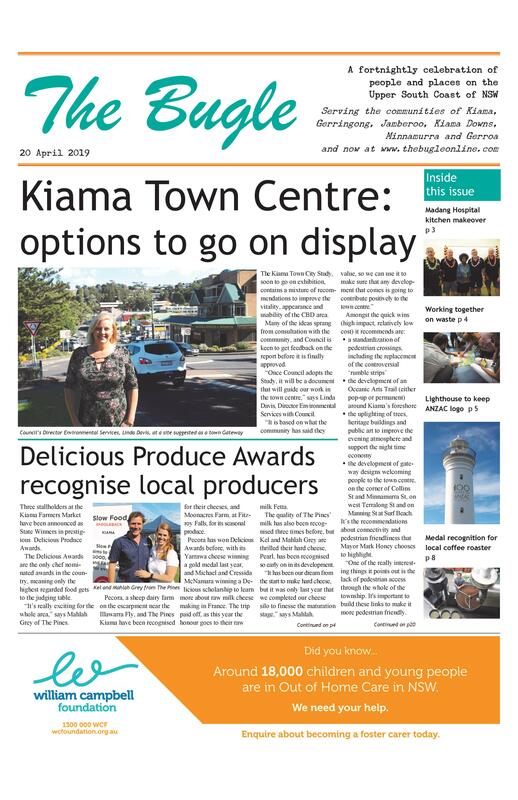 Such is the interest in the project around the world, Council’s Director of Community Services, Claire Rogers, was recently interviewed on BBC Radio about Kiama’s approach to the growing issue. Organisers are now looking to recruit residents, community groups and businesses to train up as Dementia Friends. “A Dementia Friend will learn skills to engage and communicate effectively with people with dementia,” says Community and Cultural Development Manager Nick Guggisberg. “They will also receive training in how to make community groups more dementia friendly. “The idea is that, once trained, a Dementia Friend is a point of contact within their community groups for those living with dementia. The initiative involves a free six-hour training program, broken into two three-hour sessions. Businesses are also being encouraged to take part in the campaign with a business-specific free training session. Details: The training will be conducted by Alzheimer’s Australia at Kiama Golf Club on 28 and 29 November. Registrations can be made online at: dementiafriendly.eventbrite.com.au.